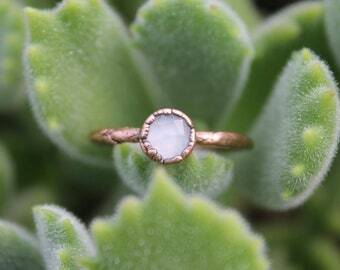 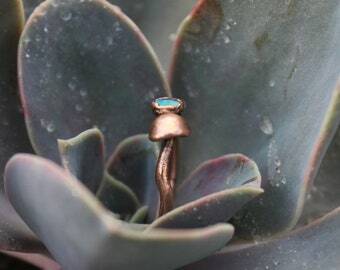 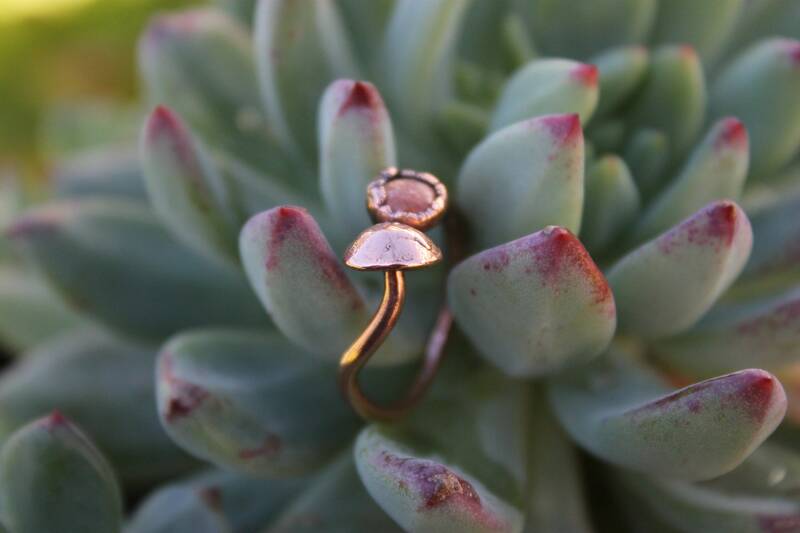 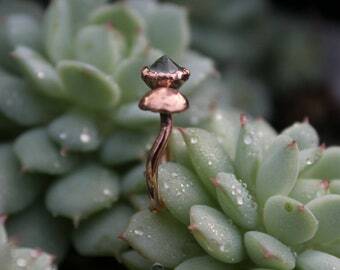 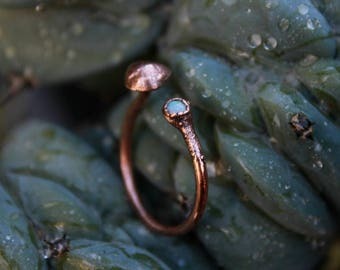 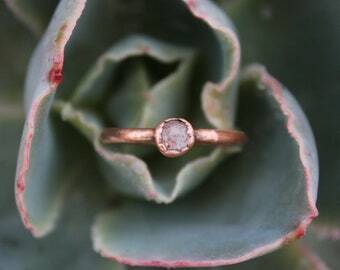 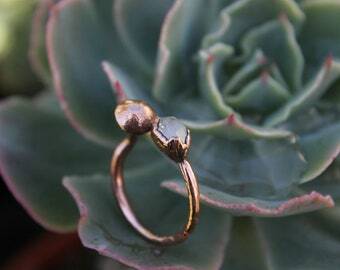 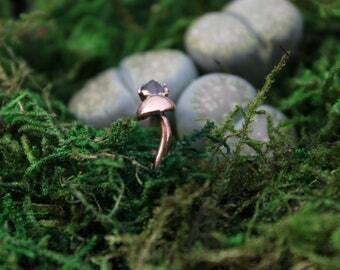 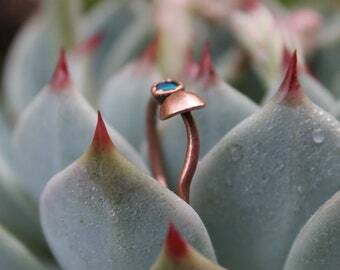 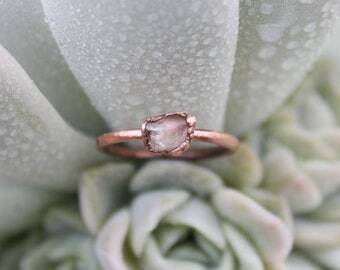 This ring is a open ring design, it has a 5mm sunstone cab on one side and a handmade baby mushroom on the other side. 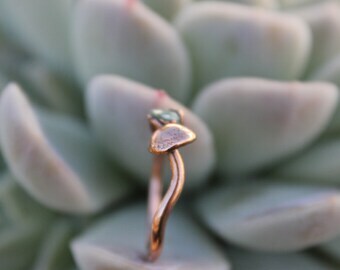 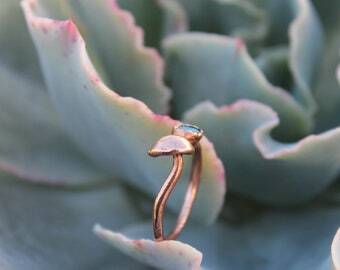 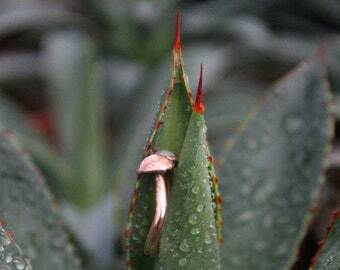 All mushroom ring's are fabricated from copper scraps, soldered and shaped by hand before they're electroformed in copper for texture. 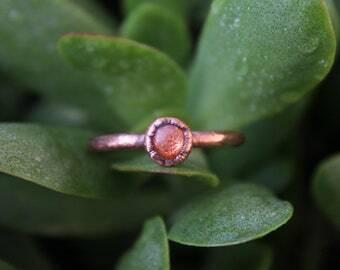 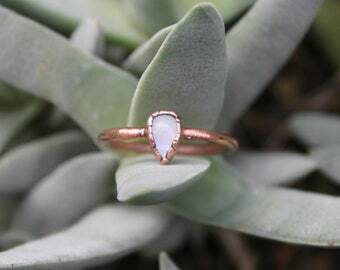 Ring size: 5 1/4 but will fit a 5 1/2 since it's a open ring design.